Today's card was created with a special friend in mind. MaryLou is a sweet lady whom has been going through so many medical and personal issues of the past several years. She is the sister-in-law of my dear friend, Soni, whom I've introduced you on here in the past year with trials of her own. To say this entire family has been bombarded is an understatement. I just wanted to send a little cheer MaryLou's way. MaryLou and I connected several years ago during a visit she and her husband, Bill, made to Soni and Wally's. We discovered we both love and collect bears. So I know when I began this card for her, it had to include a bear. All of my cards for MaryLou have included bears. LOL We agree you can never have too many! The design for this layout came from the Spring 2006 issue of Paper Creations Magazine. Designer Rhonda Palmer created a square card. She chose 3 coordinating colors of DP from Scissor Sisters for the panels. Her senter mat was a SU flower as well as the sentiment on the tag (Thank You!). Rhonda used a black gingham ribbon knotted at the top of the mat and a button for the flower center. Where Rhonda positioned her panels vertically, I chose to flip the card and run them horizontal. I selected DP pieces from my scrap drawer to coordinate with that soft, cuddly Ted E. Bear from RubberStampede. The peachy/ brown stripe is from S.E.I and the green flourish is from. Ted E. is stamped in Memento Brown and accented with Derwent WC pencils. I colored him first very lightly in ORANGE then went back over him with DK. BROWN. When I took the water-brush to him, the two colors blended beautifully to create the soft caramel tones with a perfect shading. I matted him with SU Chocolate Chip. The ribbon is from Ribbon Trends. Although the flower brad looks orange in the picture, in real life it comes very close to that peachy stripe in the DP. I hope this very special bear brings a smile to MaryLou, if even for a moment. Okay, so this isn't really a 'recycle' project but it did use up things from my stash and allow me to play with ATCs, which I love. 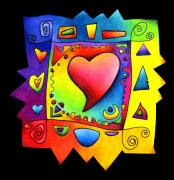 There is so much artistic freedom in a 3.5"x2.5" space. This is my final swap (at least until late fall) for this year. Our Sho-Me-Mo-Rubber stamping loop has been hostessing a rotation of ATC swaps and I can't resist them. This one was to incorporate a 'sewing' theme. 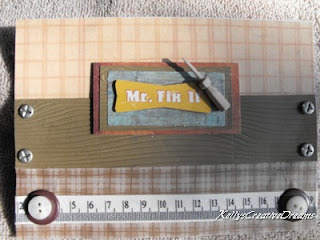 First off, have you noticed how much sewing is creeping into the scrapbooking/ stamping area lately? Take a look at the new line by Jolee's called 'French General Collection'. If you have a love affair with all things vintage you will LOVE this new collection. It was really hard to resist all the scrumptious new goodies on the Michaels display last weekend. Recollections has also brought out a line of embellishments along the same lines. I knew when I heard the theme for this swap I wanted to play. When I'm not writing or stamping, I'm in the sewing room and I have a wide assortment of stuff perfect for this round. The first stamp set I found was from TPC Studios - a division of The Paper Company. A nice collection of sewing-themed stamps. Then while I was in the Michaels in Paducah KY last week I came across a new collection of clear stamps (packaged like Studio G but avg around $2.99 in price). It's Cosmo Cricket stamps from Hampton Art. 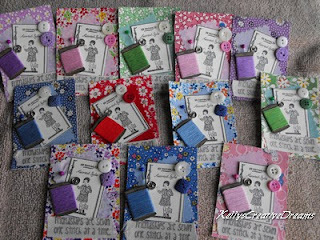 I only needed 9 for the swap but I always make my ATCs in sets of 12. I keep #1 and any extras are for sharing/ trading. Here is a picture of all 12. And a close-up shot of a single so you can see more of the details. For this group I stuck with a 'vintage' theme and reached for those reproduction 1940s fabrics I got at the quilt shop hop last fall. I used a different print on each of the 12 ATCs. Then I reached into my stash for a scrap of coordinating solid. Some of these solids were thinner than others and didn't cut well with the pinking shears so I wound up using WonderUnder so I could cut them out easier and then use the fusible web to adhere them to the ATC. The pattern envelope image is from the Cosmo Cricket set I bought. Isn't it cute? The 'spool' (from TPC Studios) of thread is stamped on Early Espresso (SU) in Memento Tuxedo black ink. Then I cut it out and wound them with a coordinating color of embroidery floss. The sentiment is also from TCP. I stamped it on twill tape. Because I have a habit of sticking my straight pins in the top of a spool of thread, I thought a ball-head straight pin done the same way was appropriate. The point is stuck behind the spool between the layers so it won't poke anyone. For finishing touches I added a coordinating color and a white button plus a small snap to each one with glue dots. It was fun playing with these ATCs and they turned out pretty much what I had initially envisioned - which as artists, we know that isn't always the case. 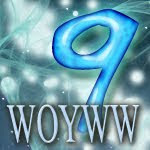 ... used in the making of this week's card. And as I was filling out the detail ticket for this project, it dawned on me that I had not popped open an ink pad during this entire card. Yet without stamps and ink, I think the card came together as it should have. This week's TPT card goes to Charles Henry in Hyde Park, NY. Charles has recently undergone cancer surgery... without the support of extended family. But to me, he had the most important members present, his wife and two daughters. From what I understand, way back in his early life, it was kind of an unspoken rule that Charles would always be there to take care of his mom and siblings. He bucked the rule when he fell in LOVE! He got married and began raising his own family, all while the ones he grew up with shunned him. That is just so sad. My father didn't agree with what I did but he never disowned me. And though I don't speak with extended family members as often as I should, I know they are there and we do still communicate. I pulled from my Neutral misc. paper pack from Color Bok. The strip of SU Early Expresso needed a bit of texture so I ran it through the Paper Studio Woodgrain folder. The mats and the Mr. Fix It strip came from the same pack. I have quite a collection of 'home improvement' embellishments to use in our home remodel SB so I took some of the Philips Head screw brads and the Ribbon Trends ruler ribbon. The 'dials' are made from large brown brads with a cream button in the center. 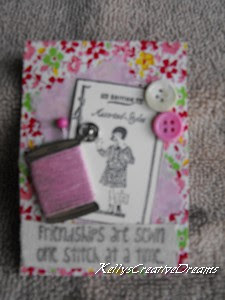 I still need a sentiment for the inside but I like the way this card came out on the 'fly'. So glad to be back to a routine. I've spent the morning playing catch-up on business then made a trip down to the Studio to create 2 weddings cards. My husband's niece as well as a dear friend I've known most of her life are both getting married Memorial Day weekend. It is impossible to attend both so I'll be representing Bob and I at the family wedding in Oklahoma while sending lots of prayers and well-wishes to Dasha and her fiance in southern Illinois. The card today comes from a 2008 issue of Crafts 'n Things magazine. 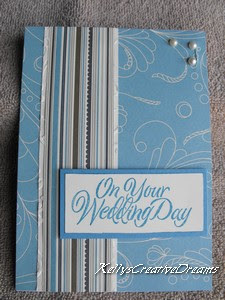 The sophisticated stamped wedding ensemble on page 19 is the creation of Keri Lee Sereika. 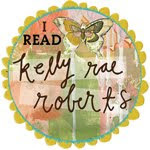 We've visited Keri's Pink Lemonade blog at typepad before. Probably because her designs are beautiful and inspiring. My inspiration was actually the cover of a wedding album. I didn't change anything except the technique for this card. Keri chose a lace background stamp to create her DP strip where I used the Starry Night CB folder for mine. Keri also used hers for the top strip, where I used mine as the mat for a coordinating DP. She used a ribbon accented with flowers on top of the strip. I chose not to use any additional accent because it seemed to get lost in the striped paper. I chose SU Elegant Soiree papers, pairing them with Marina Mist and Very Vanilla CS. The sentiment is from Rubber Stampede. Though I used the same layout on both cards, I did reverse the mat/ pearls positioning on the other one. One thing I did notice in putting this week's card together is I do not have enough 'elegant' DP. So guess I'll have to fix that as SU, as well as a couple other of my fav paper designers, have a great selection. Adrian is out helping grandpa with the boat so I can sneak in here for a couple of minutes and show you my latest recycle project. My last swap of the year (as of right now anyway hehe ) was a Altered Container/ contents Swap. We were instructed to alter a container and then fill it with contents that matched the theme of our alter. 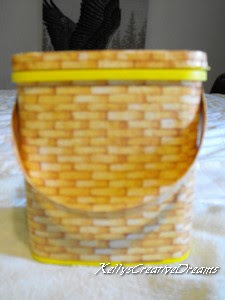 I chose May Baskets for my theme since we were mailing them out by April 1st. I used 2 pieces of cardstock glued together then wrapped in the same basket-weave paper to make the handle and attached it with gold brads. Because of the rim of the container, I couldn't use the Crop A Dile so I used my wood burning tool to make the holes. I signed up for this swap towards the end of last year so I've spent evenings in front of the TV making all different kinds of flowers. I used Embroidery Floss to crochet all white ones and variegated colored 5-petal flowers. My EK Success Daisy Punch is one of my favorite flower punches to work with and I made a bunch of these. Some had buttons for centers while I used bling for others. I added bright yellow silk daisies, made 2-layered flowers with brad centers from silk petals (box of about 800 in the wedding dept.) There are also some Studio G paper flowers layered in different combinations and centers. As a final flower touch, I added flower brads and eyelets. 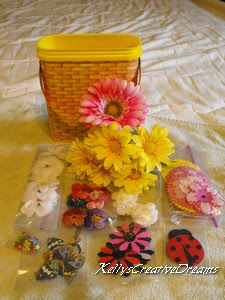 Aside from different types of flowers I also made Lady Bugs in 2 sizes and added birds and butterflies from K & Co. I had a blast coming up with the different flower combinations and sharing these embellishments with others I know who can put them to use. However, with the summer garden, freelance writing and still wanting creative time this is my last swap for awhile. 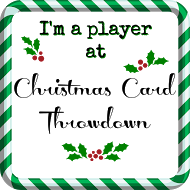 I have plenty to play with. I'm so glad I got the posts for this week and next pre-written. We're having so much fun with Adrian but it seriously cuts into my computer and creative time. I'm hoping we can get some stamping in today so maybe... maybe I can get a Teapot card done for this week. We'll see. 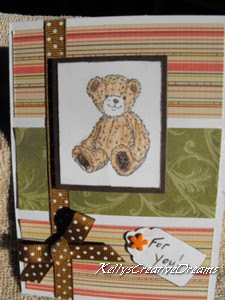 In the meantime I came up with this card during the last Virtual Stamp Night (VSN) over at SCS. Okay, so this card is a couple weeks late. But being Irish, it’s St. Patrick’s Day all year long for me. I made three of these cards. One went to my granddaughter, one to my oldest sister and one to a 2nd cousin whom I’ve not seen in years but we share the same surname. This is another one of those horrible pictures I told you about last week. It isn’t yellow – honest. It’s supposed to be SU Very Vanilla paired with ValuCS Primary Green. 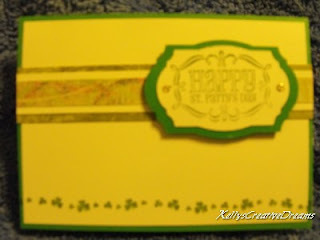 I used a St. Patrick’s Day sentiment stamp from Studio G and cut the mats from the Cricut Lacy Labels cartridge. I kept the layout the same from a card by Beth Opel, called Joy to the World in Nov/ Dec 2012 Paper Crafts magazine. I found a link to Beth’s typepad, which she closed on March 22nd so I can’t link you to her creativity. Beth did a business-envelope sized horizontal card in silver from DCWV. She created a 2-layer ribbon strip black on red. She used a gold doily rub-on from Hambly Screen Prints onto a red base and fussy cut around the red base about 1/8” from the doily edge. Her sentiment (rub-on from American Crafts) was done on the silver CS. She rounded the corners of this and the black mat she adhered it to before placing in the center of the doily. Beth’s card had a simple elegance about it and suitable for any Christmas recipient. Next week I’ll give you a very early (say 6 months) peek at my husband’s birthday card. I’ll tell you why it’s so early… next week.